Colorado School of Mines Joins HireVeterans.com! Mines has distinguished itself by developing a curriculum and research program geared towards responsible stewardship of the earth and its resources. In addition to strong education and research programs in traditional fields of science and engineering, Mines is one of a very few institutions in the world having broad expertise in resource exploration, extraction, production and utilization. Mines occupies a unique position among the world's institutions of higher education. Since its founding in 1874, the translation of the school's mission into educational programs has been influenced by the needs of society. Those needs are now focused more clearly than ever before. The world faces a crisis in balancing resource availability with environmental protection and Mines and its programs are central to the solution. Mines offers all the advantages of a world-class research institution with a size that allows for personal attention. 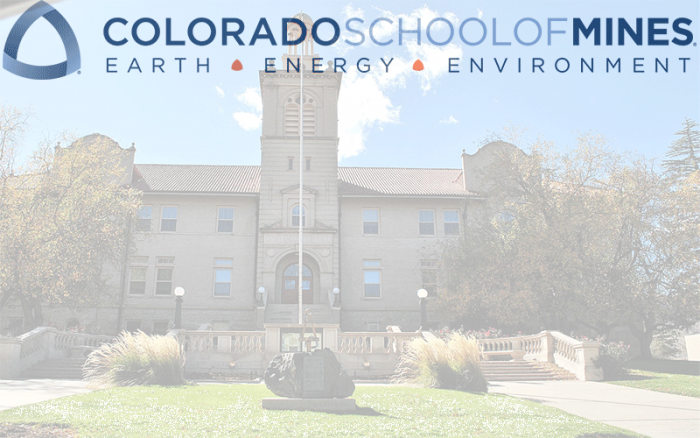 Click Here To View And To Apply To All Of Colorado School Of Mine's Available Positions!